Last year I wrote a blog called “Safe At Any Speed?“. It was a personal exploration of three years’ worth of Bristol City Council data indicating how likely I was as a cyclist to end up in Casualty, given that I had just moved to the city. I concluded that I could probably cycle for another 125,000 miles before my next appearance in a national casualty data set. Flippancy apart, there were three cyclist deaths in those data and 13 pedestrian deaths. Two of the pedestrian deaths were children. 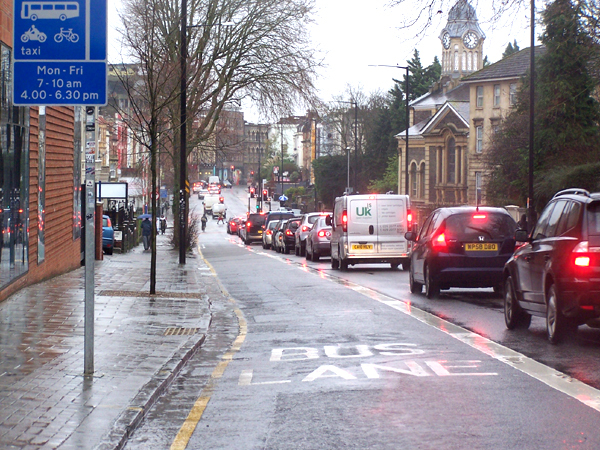 If Bristol’s move towards a city-wide 20mph limit comes to fruition those numbers have got to be lower in future. This year, I wanted to see if things were getting any better. My thanks, again, to the Strategy & Programmes Team in the Transport Service part of Bristol City Council for sending me information to augment the data I used last year. Some of their own excellent work is available here. My opening table is a summary of traffic incidents with casualties in one year (September 2011 to August 2012) reported on Police Accident Forms in the City of Bristol. It classifies the incidents by type of road user, by kinds of vehicle and by the degree of harm done to the people. On average there are three such collisions every day in Bristol with 4 people getting hurt (to one degree or another). What follows is my selection, re-presentation and interpretation of Transport Service’s information. What I see in the tables is that vehicles and drivers of vehicles dominate the statistics. Seven of Bristol’s eight road deaths involved motor vehicles and motor vehicles were involved in 63% of all the reported casualty incidents. In the table showing who was injured, notice that motor vehicle drivers were less often killed or injured than passengers. Motor vehicles were involved in 670 incidents with casualties, but motor vehicle drivers escaped even slight injuries in a third of those cases. Another striking pattern reveals the vulnerability of pedestrians. The four killed and 44 seriously injured pedestrians amount to 21% of all pedestrian casualties, a figure exceeded only by motorcycle riders (27%). Cyclists at 16% are a little less vulnerable once involved but the injured drivers and passengers in motor vehicles were killed or hurt badly in only 3 and 6 percent of cases respectively. To summarise the last two paragraphs more simply, the people who got hurt on the roads of Bristol came off much better, on average, if they were inside cars. 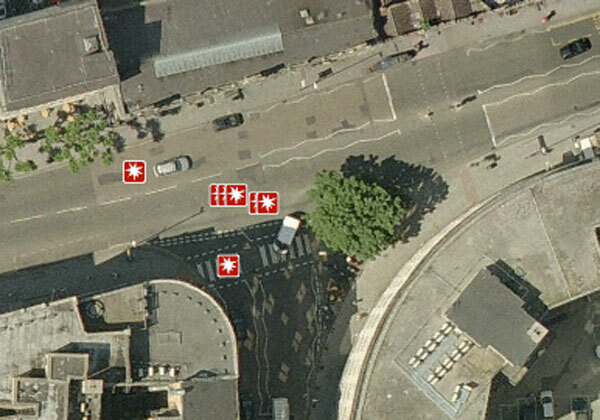 The worst place to be, once a collision happens, is on foot. The bad news here is that while the number of slight casualties has gradually declined over the seven year period, deaths and serious injuries have been stuck on about three a week, with 2011 losing all the improvement that 2010 seemed to have brought. Our roads are stubbornly dangerous places for the most vulnerable road users. The costs of this don’t bear thinking about. Nonetheless, Officers at British Bristol City Council report that using a standard estimate of cost per causality incident the total cost in Bristol over the twelve month period has been £93,721,680. That’s an economic loss of just over £200 for every man woman and child in Bristol per year. This leaves out the costs of the more numerous non-casualty crashes. These are plentiful. The report says: “Research indicates that for every injury collision, on roads in built-up areas, there are over 17 damage-only collisions” (Bristol Road Casualty Review 2011). That Review summarises a number of other aspects of road casualties, such as socio-economic class, age and gender. The one that I looked at in more detail was the geographical distribution of the crashes, as indicated by the road address given in each accident report form, as output to a large spreadsheet file from Bristol City Council’s database. This is a rather crude indicator compared to the council’s location of the incidents in local neighbourhoods, but it does give an extra hint as to where some of the most serious problems lie. I sorted the full list of incidents by the street address given for each one (“B4054 PARRY’S LANE NEAR ITS J/WITH CROSS ELMS LANE, BRISTOL” for example) and looked at the most frequently recorded street road number/street name combinations. This doesn’t include every entry for each section of road but as a rough and ready sorting it does establish five names as significantly more often listed than others. Between them A38 Gloucester Road, A4 Bath Road, A432 Fishponds Road, A432 Stapleton Road and B4469 Muller Road, accounted for 124 of the cyclist casualties in the 12 months’ figures. The figures for these roads and for three other interesting cases are listed in order of total incidents and in order of cyclist casualties in the following two tables. All of these roads except Baldwin Street are long arterial roads, fanning out from Bristol’s asymmetric centre in twisted spider-web fashion. Like old-fashioned geography lessons, they weave through zones of development, with more hazards and alarms than a Shakespeare History play. They are definitely interesting, but none of them, as they are currently configured, would encourage a novice to start daydreams of a daily ride into the city. After work, in the dark and the rain they all become more like the scenes for a nightmare.